Anthony Crook, the former racing driver and owner of Bristol Cars has died, aged 93. Crook was best known in recent years for the way he ran Bristol Cars, nurturing the company’s image for producing finely-crafted, bespoke cars that were aimed at a particular kind of owner. However, Anthony Crook made his name as a racing driver, after deciding to enter motor sport at the age of six. He was educated at Clifton College, Bristol, and harboured his love of fast cars throughout his schooling and higher education at Cambridge, maintaining this passion whilst serving as a fighter pilot in the Royal Air Force during WW2. He entered racing afterwards and enjoyed a long and fruitful career that would end with him competing – briefly – in Formula 1. A crash at Goodwood in 1955 saw him decide to retire, but by this time his company, Anthony Crook Motors, was already an established dealer and going from strength to strength. Crook was a fan of Bristol Cars, which he sold alongside Aston Martins, and also had a good relationship with the Chrysler importer in the UK. He took a stake in Bristol Cars in 1960 after the parent company, Bristol Aircraft Company, encountered financial difficulties which led it into partnership with the British Aircraft Corporation. Crook was instrumental in facilitating the deal with Chrysler which saw the elegant straight-six powered Bristol 406 transformed into the effortless V8-powered 407. From there, Bristol Cars enjoyed an unbroken bloodline through to the final Blenheim, built in 2011. 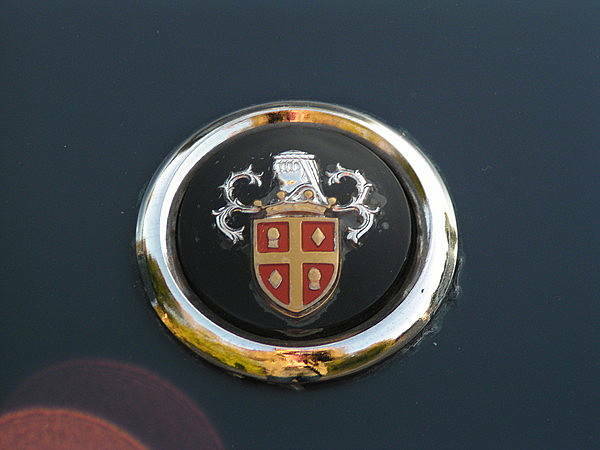 Crook became the sole proprietor of Bristol Cars in 1973 and remained in charge until 1997, when he sold a 50 per cent stake in the company, before handing over financial control in 2001. Between then and 2007, when he was forced out, he remained as the Managing Director, working out of the iconic Kensington showrooms. He will forever be remembered for being a singular and an indomitable character who chased off journalists and undesirable customers – but, when we questioned him on this and other matters in 2010, he smiled, saying that these rumours couldn’t be further from the truth. He remained as sharp as a tack and consumately charming, despite the illness that beset him in his later years. He was also as quick-witted and mercurial as ever in defending his time and actions at the helm of Bristol Cars. His legacy will be his range of V8-powered Bristols, such as the elegant 603 (below), which are effortless to drive, beautifully made and perfectly matched for their owners around town. They reflect his visionary leadership of a company that defines class so perfectly – and the automotive world’s a less colourful place without his individual presence. 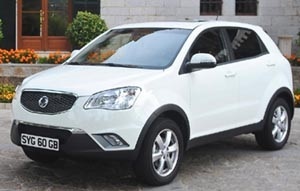 Blog : MG’s making an SUV? Good! Somebody who identified with his products is forced out and 5 years later the company is broke! Name of the game unfortunately when there is no passion. Another of the great characters of the British Car industry is lost. Yes, it is indicative that the company did not survive long after his departure. Although I love the Bristol Fighter I feel that it was a vanity project for Toby Silverton and a step too far for Bristol’s traditional customer base. I disagree that it was a lack of passion, more that the passion was misdirected and lacking in the business acumen that Tony so obviously had. Tony Crook not only sold you the car, but also would get the parts for it to be serviced from the factory in Bristol. Bristol really was an amazing company, producing a handful of cars in a small factory and selling from a single showroom in London, where Crook vetted potential owners and where sales were in penny numbers as the company was so secretive. However, that the company lasted for over 60 years on such a tiny turnover and high costs is one attributed to Tony Crook. Very sad to hear this. In his hands it was an amazing company with such mystique about it, although in later years was probably more a labour of love than a cash cow for him. It’s a shame that the much needed money injection from Toby Silverton’s consortium was wasted on the fatal Fighter project. RIP TC. I have been reading up on Bristols and they do provide a really interesting alternative to Aston Martins and Bentleys for those with enough money. 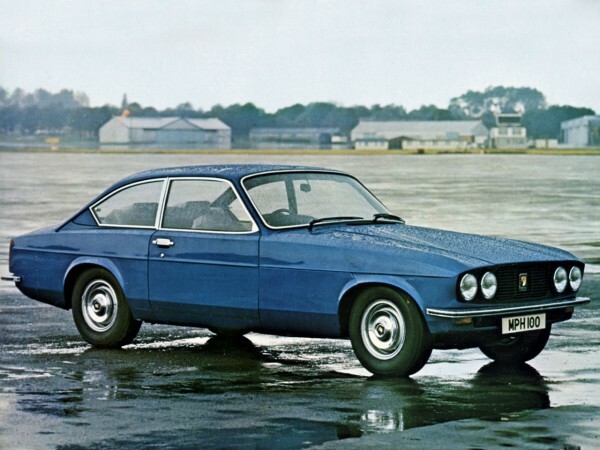 Also Bristol must be the only car company where the salesman also owned the showroom and the factory, and where no matter how rich you were, if Tony Crook didn’t like the look of you, or thought you were false, then you were shown the door. As for the cars, I’ve only seen one, a 52 plate Blenheim in Notting Hill, and for all it looked old fashioned, there was something very British about it with all the wood and leather and, of course, the badge, which made even a Bentley look as mainstream as a BMW. A shame that Tony Crook is no longer with us and the company sadly is no more after the new owners blew the money on the Fighter. As someone who nearly bought a 411 (e-bay and good wine were responsible) I love the cars and respect the way he managed the company for so many years. He had an interesting life and would have made a great dinner guest! I am pleased that the Kensington showroom is live and well and with luck the company will be producing cars again in a style he would have approved of (discreet, individual and unique) as that would be the most fitting tribute. Who would you rather be sat next to at dinner? 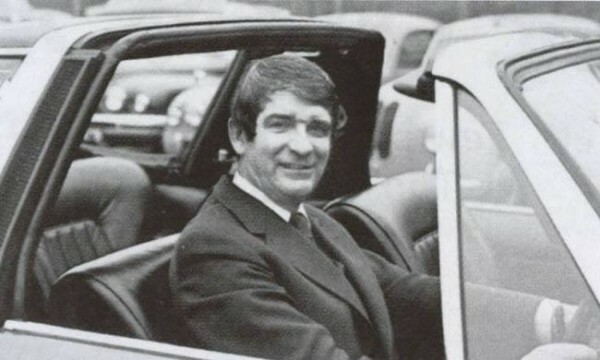 Michael Edwardes or Tony Crook, I think most of us would say Tony Crook whose idiosyncratic company kept going regardless of what else was happening in the British car industry. Without Crook, I’m sure Bristol would have gone under in the sixties. You are probably right about Bristol going in the 60’s without Tony Crook but I suspect (subjective of course) that BL would have gone sooner if Michael Edwards had not appeared. Indeed, looking at the data in Ian’s current article on this site, how could they have survived more than a few days, let alone years!